Had to do some traveling, but I am back in my favorite room...card making away!!! 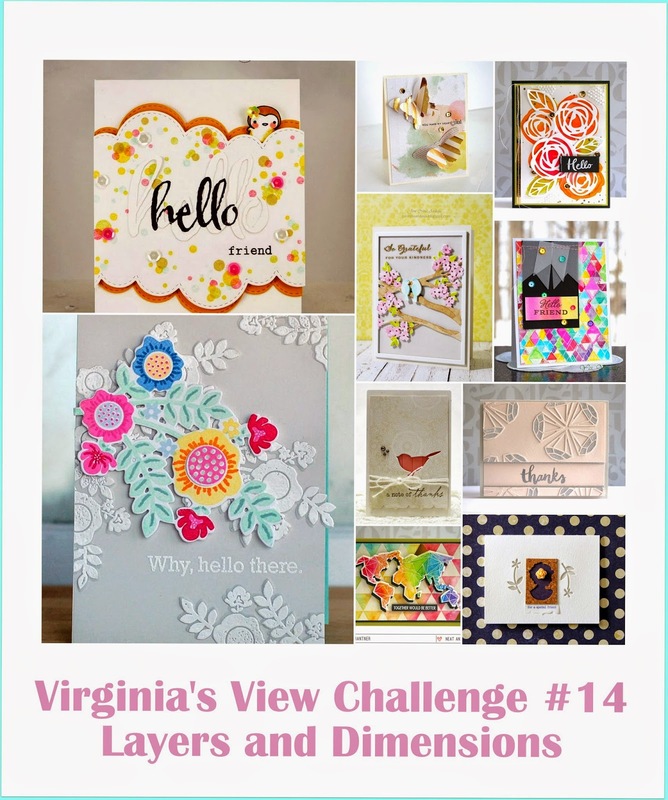 and combined it with the Layers & Dimension Challenge at Virginia's View. I recently received the Graceful Beauties stamp and Stitched Flourishes die...so loving how those tiny stitched swirls die cut perfectly below the butterfly. 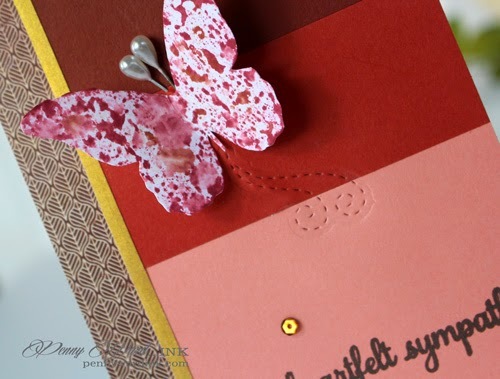 The butterfly stamp was colored with a Memento Rhubarb Stalk marker, spritzed with water then stamped on to white card stock to give it the mottled effect. 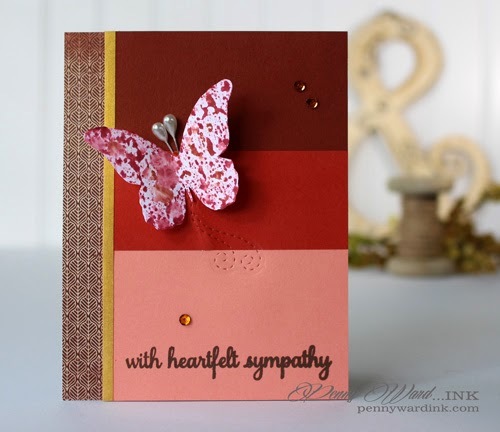 A little pattern paper along the edge and a strip of white card stock inked with Delicata Golden Glitz. A few bronze sequins and easy peasy...done!